Dr. Ghafghazi earned his DDS diploma in 1998 with honor. 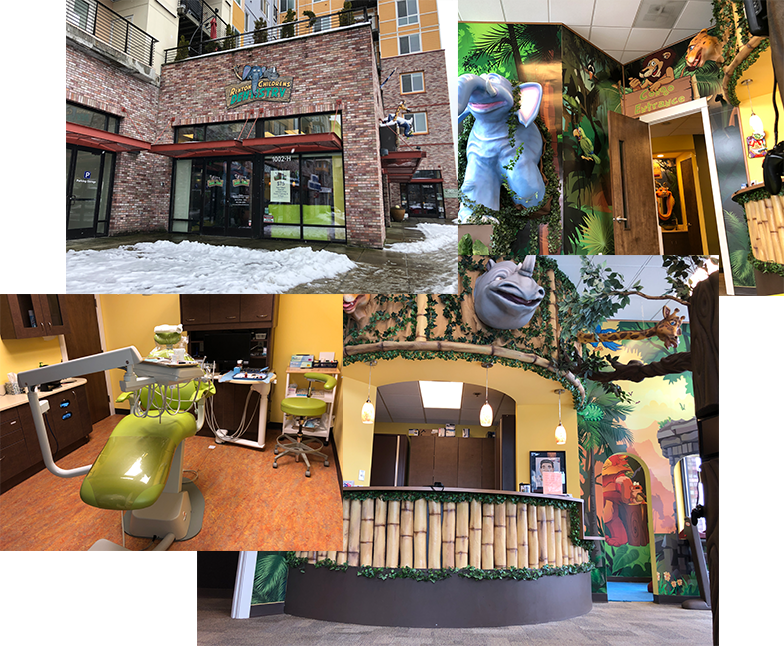 After practicing general dentistry for four years, he attended Tufts University to complete his three-year post graduate training in pediatric dentistry. He has been practicing pediatric dentistry since 2006. Dr. Ghafghazi is certified as a Diplomate of the American Academy of Pediatric Dentistry. He is affiliated with the American Academy of Pediatric Dentistry, and received the Dr. Waldemar Brehm Scholarship in 2006. Dr. Ghafghazi is married and has a son and enjoys all sorts of athletic activities, music and art. Born and raised in Washington Elizabeth started her dental career back in 2009 when she joined the team. She initially started off as a sterilization tech working in the back. She transitioned to patient coordinator and eventually to office manager. You can always count on her to be that friendly smile that greets you when you enter the office. Having experience in both the back and front has made it easy to help her manage your child’s dental needs. When she is not in the office you can find her exploring the Pacific North West or tending to her garden. Our facility is conveniently located off of I-405 exit 5. It is next to the Landing mall with free garage parking available. The interior decoration is fun and endearing. We have playstation, toys and mini playground available as well. Our medical equipments are modern & well-maintained. Our office staff members are well trained individuals who have tremendous passion for working with children. BECAUSE THAT FIRST VISIT IS IMPORTANT. We believe that those early dental visits shape a child’s future attitude towards dentistry. If we can provide positive experiences in the beginning, and present dentistry to children in ways that are easy to understand, we can reduce or eliminate any dental anxiety. We know we have done our job well when we hear kids say they’re excited to come back! BECAUSE WE RECOGNIZE EACH CHILD IS UNIQUE. We have received special training in pediatrics to be able to give you insight into what to anticipate for your child’s oral growth and development. Additionally, our training in behavior management and sedation gives us the tools to treat children with special behavioral or medical conditions. This means we are able to tailor our treatment approach specifically to what your child needs. BECAUSE PREVENTION WORTHS MORE THAN CURE. Dental education and prevention is our passion. As we cultivate good oral hygiene in one child, an amazing phenomenon happens as awareness spreads to the whole family, resulting in better oral health for everyone! When a child is taught and empowered to take proper care of the teeth and gums, being cavity-free for a lifetime is actually possible. BECAUSE BEING A PARENT IS HARD ALREADY. Knowing this, we gladly offer our tips and tricks to make caring for your child’s teeth easier. Our goal is to partner with you as a resource for all things dental. Questions? You can always drop by, email, or call, and we’ll be happy to answer!